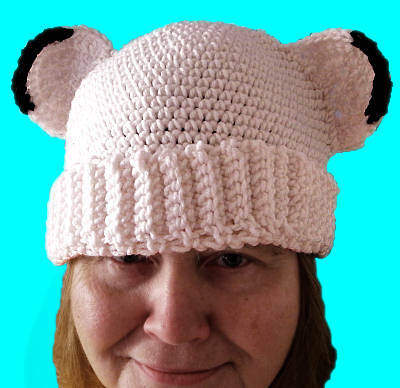 NEW Hand-Made Crocheted Hat with Black-Tipped Ears! Here is a crocheted hat with fold-up brim and ears that have black tips! Click on the picture above for a close-up view. 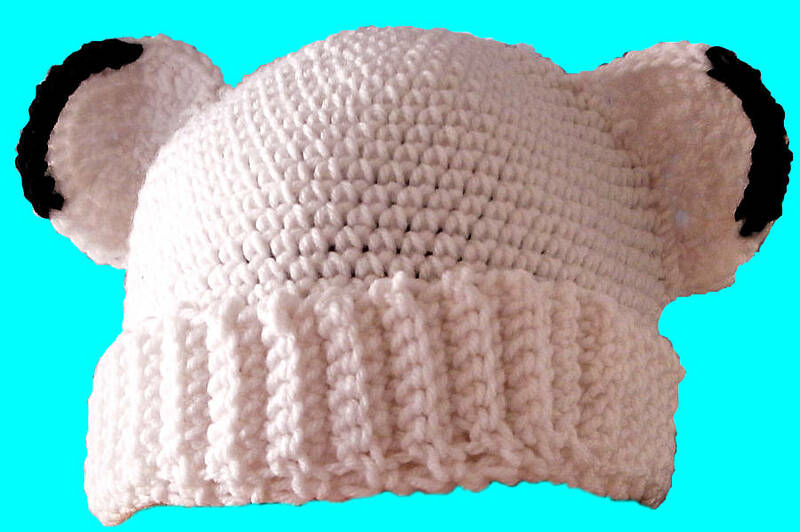 The hat is made with 100% Acrylic yarn, machine washable and machine dryable. It measures approximately 7 inches in diameter at the brim and approximately 11 inches from ear tip to ear tip. Warm and fun to wear! Shipping is $3 to any location. All items are carefully packed for safe shipping. We make every effort to get your order into the mail the next day after you place your order (Sundays and holidays excluded). All items are sent either First Class or Priority Mail (our choice), which means that most US orders are delivered in less than a week. International orders are sent via Airmail for fast service. Made when you order! Will ship within days of your order.